Induced lesions of the musculoskeletal system, skin, and adipose tissue have been identified with an increasing variety of test articles over the past two decades, including many biologics. The pathogenesis of these lesions is now being studied more intensively than in the past. 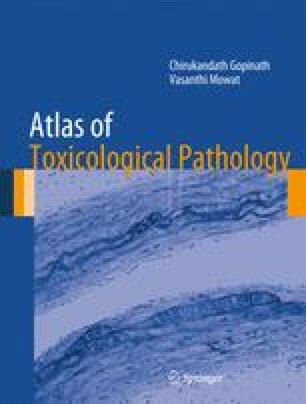 In this chapter, mechanisms of toxicity are briefly discussed. Common induced lesions of these organ systems are described, with illustrations and examples of causative agents and their modes of action.